Rendel’s has established a reputation for excellence unmatched in the area. Our success is firmly rooted in our dedication to providing our customers with unparalleled craftsmanship and quality service. 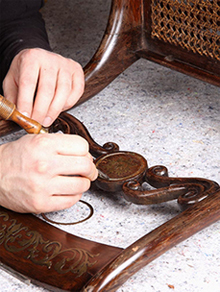 We specialize in furniture and wood repair for antiques, specialty items, millwork, paneling, doors and more. Other services include furniture structural repair and stabilization, precision repair of wood and laminate surfaces, refinishing and polishing, and color matching, and cane and rush. Refinishing - Done in a way not to harm the value of your antiques. We can also make new parts for your antique sofa, chair, tables or chest.